Nairobi has a lot of spectacular things to offer to her guests. Nairobi City blends people from all walks of life. It is old enough to make you have a glimpse of the past, multi-ethnic enough to have you experience the Kenyan culture yet it is still modern enough to get internet access. A typical day for a guest in Nairobi can be full of fantastic activities and memorable moments. Nairobi is adorned with modern skyscrapers, world class restaurants, fully equipped hospitals, modern shopping malls, abundant public and private transportation as well as schools, colleges and universities that provide both local and international curricula. The city walk or city tour is conducted every day and is designed in a manner that it allows free movement of visitors in the Central Business District (CBD). A typical city tour gives a guest, especially one who is visiting for the fist time, a chance to orient themselves with the city and know some of the important places, buildings and facilities within Nairobi City. The city tour includes, but is not limited to: The High Court of Kenya, The Kenya Parliament, The National Archives, Uhuru Park, Nairobi National Park and many other places. 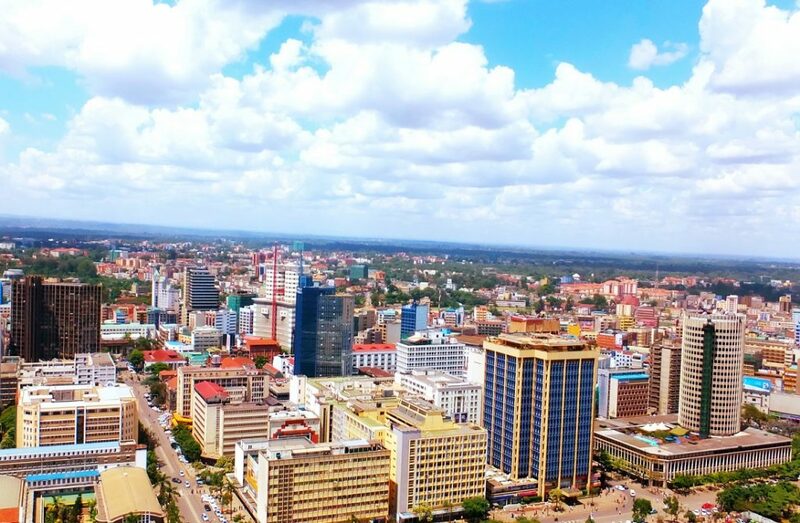 You may not compare Nairobi to London or New York, but it has a lot of wonderful things to explore; the local culture, the cuisines, sports, performing arts and so on. There are lots of local games, events and performances that you can attend. Some of the popular cultural attractions in Nairobi include: African Heritage House, Bomas of Kenya, Kenyatta International Conference Centre (KICC), GoDown Arts Centre, Kenya National Theatre, Nairobi National Park or even a slum tour. Nairobi is home to a blend of international and African restaurants, making it easier for an international guest to find something they are used to. There is however no harm in trying out the local cuisines. Kenya is home to over 42 ethnic groups which only brings diversity when it comes to food. You can try out nyama choma, irio, kachumbari,fish, mandai, githeri and many more not forgetting locally brewed beers for those in love with the bottle. To try out some of the local favorites, you can visit restaurants like Carnivore for nyama choma, Ranalo Foods for fish, Java for coffee and so much more. Who would come to Nairobi and leave without shopping? Nairobi gives you the spirit of shopping even if you are not a fan of shopping. The city has a number of shopping malls and other places to pick up local handicraft items, unique art and souvenirs to take back home with you. Apart from the shopping malls you can go shopping at City Market, Kazuri Beads, Maasai Market, Marula Studios and many more. 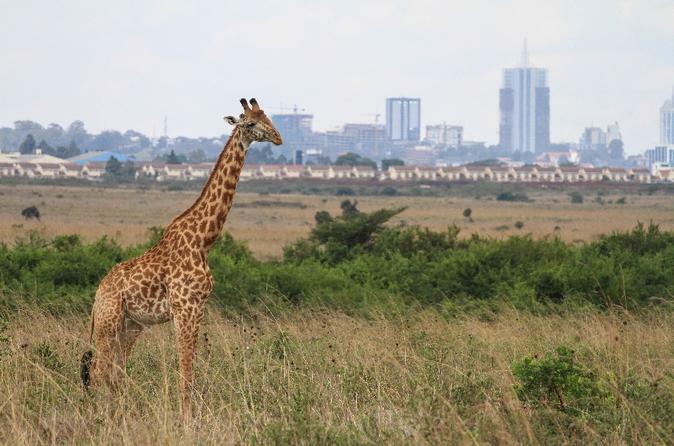 Nairobi is the only city in the world that prides itself on having a national park and other animal sanctuaries within the city. If you thought you have to drive out of the city to see wild animals in their natural habitat, you are mistaken. Nairobi National Park is a 30 minute drive from the City Center and is home to different animal species ranging from black rhino, lion, cheetah, waterbuck and hundreds of bird species. You can go on game drives, safari walks or camping in the park. It is probably time to hope into that bus or book that plane ticket to Nairobi right away, now that you know what a typical day in Nairobi could be like. When on a business travel and you have a day to spare, do not stay locked up in your room when the beautiful city has a lot of pleasures to offer. Go out, indulge and make memories that will last you a lifetime.